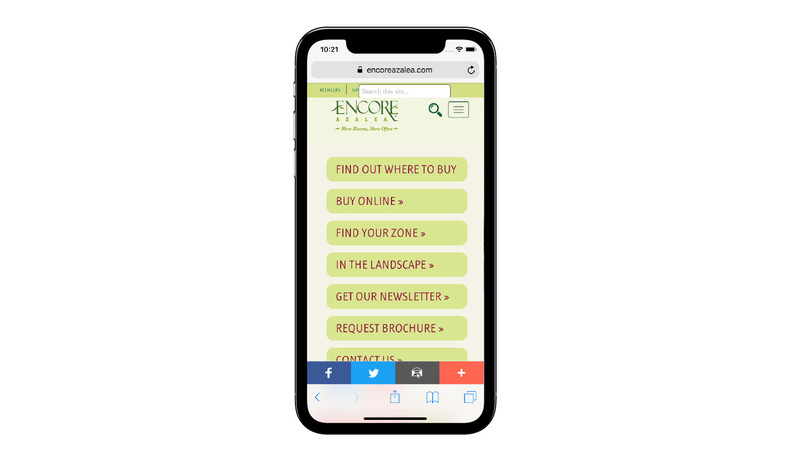 Rouviere Media did the web development and Expression Engine content management system for this redo of Encore Azalea's website for Optera Creative, which designed the site. This Expression Engine content management site is a responsive site for all platforms from desktops to tablets and iPhones. 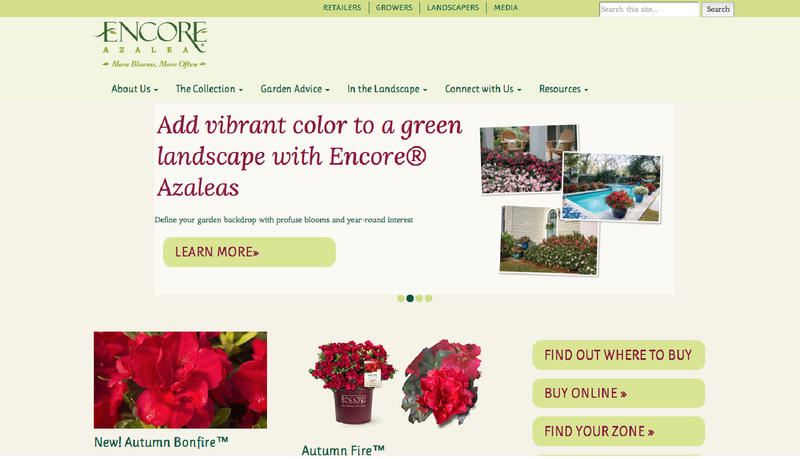 It showcases the Encore Azalea, a hardy reblooming variety of azalea with a premier reputation in the plant industry. 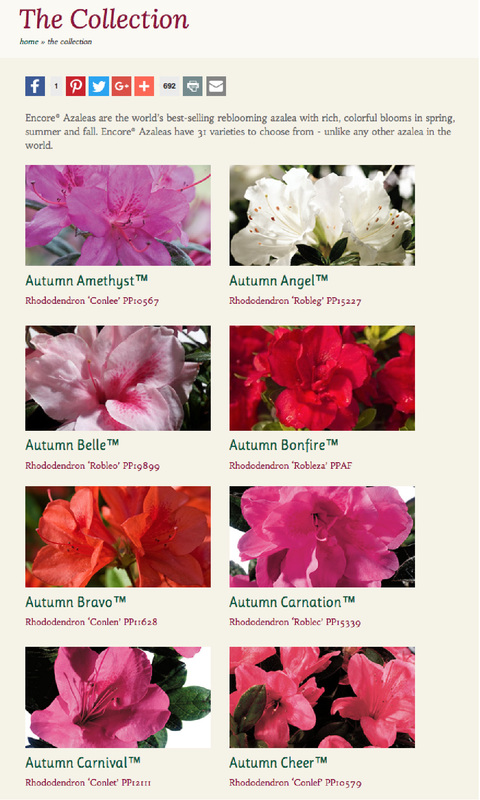 Encore Azaleas come in 29 different varieties - hence the need for an entire site about them. 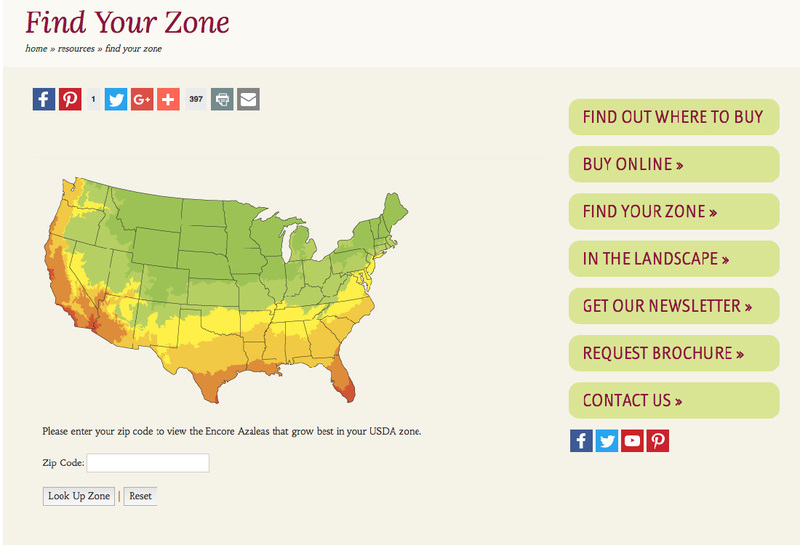 The site was developed using Bootstrap. 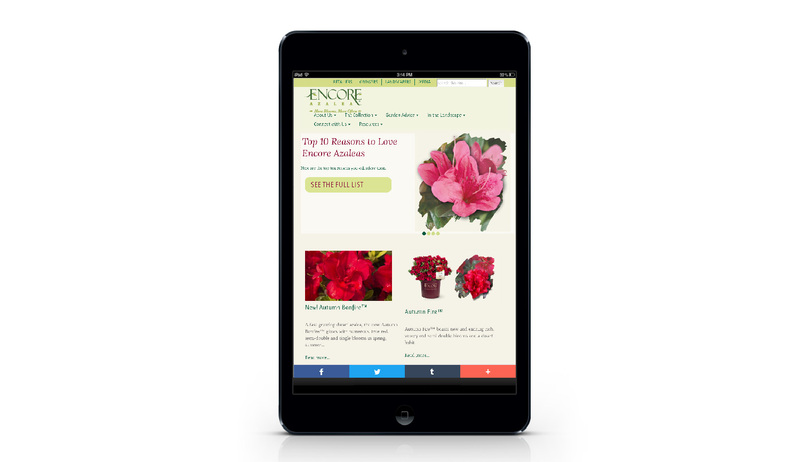 The site’s efficient navigation allows users to quickly find information about how to buy, plant and cultivate Encore Azaleas. 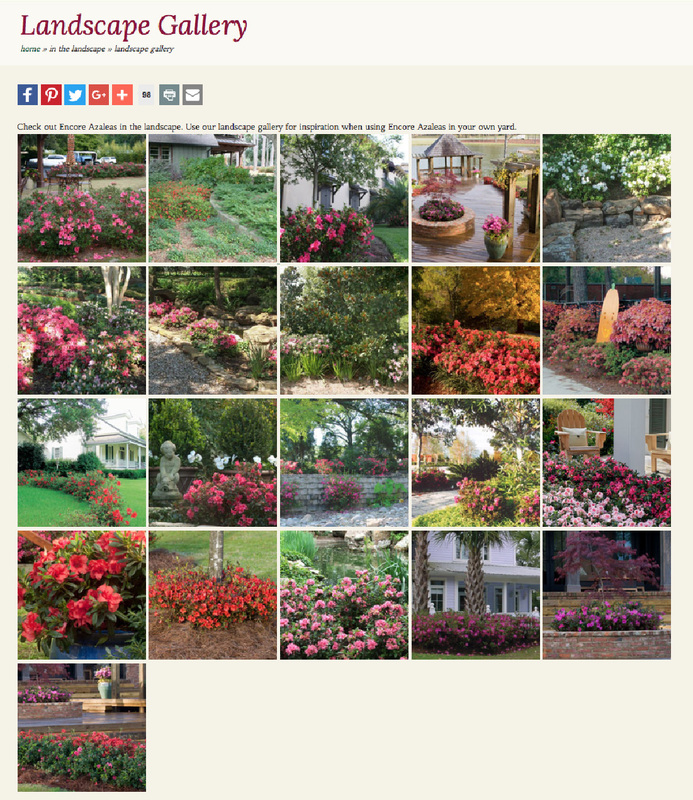 Its collection helps users to choose azaleas and is sortable by color and size. 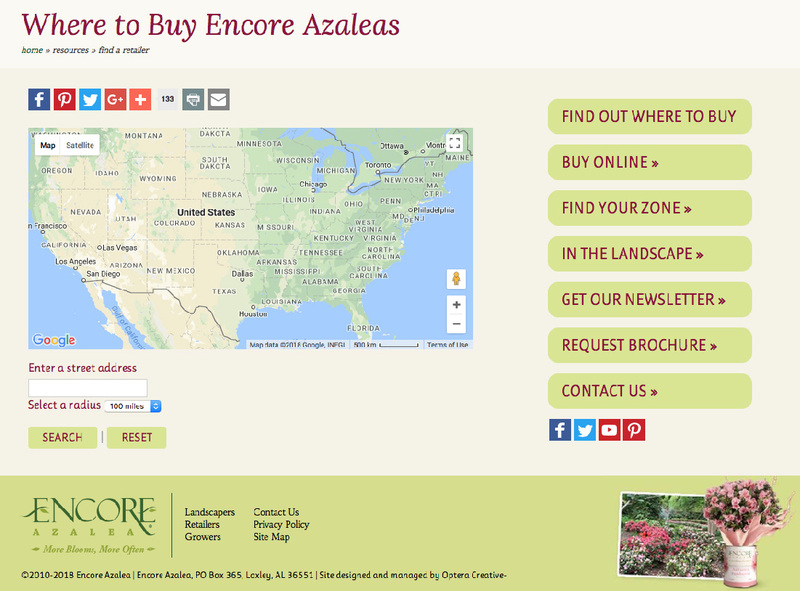 Two geolocator infographics show users where to buy Encore Azaleas in their area and help them find recommended Encore Azaleas for their zone. 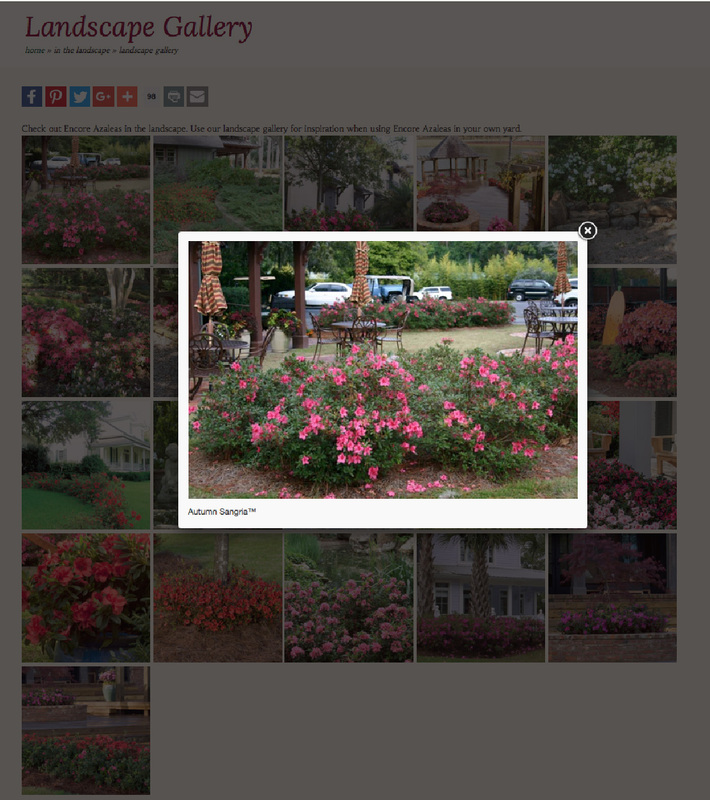 The site has a Landscape Gallery to help azalea growers get ideas for how to design their gardens.